Forget “no pain, no gain.” This old saying may be useful with healthy muscles with a normal nerve supply. In ALS, the muscle is not supplied by a healthy nerve. Rather, these nerves, known as motor nerves, are continuously dying. This is the mystery of this disease. From my experience, continuous pain related to muscle use that extends beyond roughly 15 minutes, and especially beyond 24 hours after use or exercise, is a sign of muscle injury that may not repair. There is a relationship between muscle health/repair and an intact nerve supply that is progressively deteriorating. Therefore, it is crucial that any type of muscle use that results in persistent pain be avoided. Why don’t all patients look the same? Since ALS can affect many different muscles, its appearance and progression varies in each patient. However, in limb-onset ALS, there is progressive weakness-paralysis of the body, with loss of use of the legs, arms, and lungs. What is happening to my muscles? As the disease progresses, there will be severe muscle shrinkage and weakness. This will be followed by the inability to move the muscles and joints, often resulting in pain and discomfort. The majority of patients with ALS experience mild to moderate cramping discomfort/pain. The cause may be related to loss of muscle and nerves requiring “overuse” of surviving muscles and nerves. This discomfort/pain is similar to pain experienced after over-exercising or overuse. Shoulder pain may be due to adhesive capsulitis (a.k.a. “frozen shoulder”), which occurs after abnormal, decreased use. A normal joint requires use or movement to stay healthy, but when it’s not used, the surrounding joint capsule thickens, shrinks, and scars. This produces a deep pain and less range of motion of the joint. The main goal of doing range of motion therapy is not for anatomical or functional restoration, since the disease is progressive. Instead, it should be done to IMPROVE COMFORT AND RELIEVE PAIN. Range of motion therapy may provide the greatest symptomatic relief of pain and discomfort from ALS. Unfortunately, from both a financial and practical aspect, daily range of motion exercises from a physical therapist or occupational therapist is impractical. Instead, consider using a therapist for guidance and instruction to safely perform specific range of motion movements. Use caregivers, such as family, friends, or a home healthcare provider for daily therapy. I have found these exercises to provide significant and consistent relief of discomfort in my joints and muscles. What is range of motion therapy? What is the purpose of doing passive range of motion therapy? When should I start this therapy? Start AS SOON AS POSSIBLE after diagnosis and definitely prior to development of severe muscle weakness, which occurs before joint deformities. Early range of motion therapy done by caregivers will teach them your “normal” range before you have significant muscle and joint changes. Start low, such as at 25% of what you think you’re capable of doing without difficulty. If you think you can walk a mile, plan to walk a quarter of a mile and stop. If you think you can lift 100 pounds, lift 25 pounds. Then, wait 24 hours to see how your body responds. Persistent pain after 24 hours is bad in ALS. Muscles affected by ALS repair poorly. Do NOT over-exercise an involved extremity in ALS. Weight training is not effective as a solution for muscle weakness in ALS. Since the vast majority of PTs and OTs will not be familiar with treating patients with ALS, consider sharing this range of motion approach with them. Refer to the instructional video titled, “Range of Motion Therapy in ALS” to see my daily routine. Be sure to ask your therapist about safe, good techniques that can be applied to this range of motion approach, so you don’t cause additional harm! I suggest daily range of motion exercises of at least the upper and lower extremities. I have roughly 10 performed on each joint in bending-straightening or circular motions. This requires roughly 45-60 minutes. These exercises are performed at the beginning of each morning and possibly prior to bedtime. Hamstring and shoulder stretches are held in position for roughly 10-20 seconds. Remember, with ALS, IF THERE IS EXTENDED PAIN, THERE IS NO GAIN! Stop if it hurts. Range of motion therapy/stretching should not result in prolonged discomfort or pain afterwards. I have range of motion performed on all the joints in my arms and legs, even down to the small joints of my fingers and toes. For lower extremity (leg) therapy, start in the tips of the toes and move toward the body to the hips. For upper extremity (arm) therapy, start in the fingertips and move toward the shoulder. Circular motions can also be performed on the wrist, elbow, shoulder, ankle, and hip. GOOD COMMUNICATION between the patient and the person performing the therapy to avoid injury. Use words, such as “less” or “more” during range of motion therapy. Whenever possible, have a caregiver/friend/family member provide this therapy, rather than doing it yourself. Having a consistent routine with a caregiver can help relieve emotional stress, such as depression and anxiety. When performed by a caring provider, there is also a calming, therapeutic effect on the patient. There is a great comfort in the touching of hands of a caring provider, which can be felt physically and emotionally. This touch of caring love is one of the best medicines available in ALS and is underutilized! 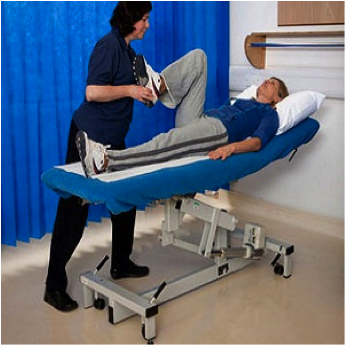 Provides a quiet time of peace and potential “normalcy” for the patient during the day. Pre-bedtime therapy could be used to relax the muscles, preparing the patient to fall asleep more quickly and comfortably. As the lower leg muscles weaken, standing can cause pain. Avoid prolonged standing, minimize walking, and sit whenever possible. Save your legs for what counts, such as getting to and from the restroom and other vital daily basic needs. 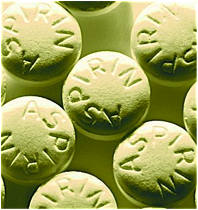 Non-steroidal anti-inflammatory drugs: For example, Aspirin and Mobic may provide temporary mild to moderate pain relief. 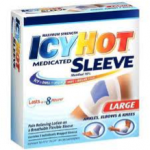 Icy Hot sleeves: For elbow pain, I have found Icy Hot sleeves to be useful. However, they can cause skin irritation, so I do not recommend using them for extended periods of time. I typically use them at bedtime or for limited times during the day. Acupuncture: For shoulder pain, including adhesive capsulitis, tiny needles about 1/8” in length are inserted on the skin surface of the shoulder. Some acupuncturists may leave these in place for several days. In my experience, there has been no long term benefit from using muscle relaxants, such as Baclofen or Flexeril, because they cause excessive sleepiness. Swelling of the limbs can cause abnormal sensation and discomfort in the hands and feet. As the disease progresses, muscle size will decrease in the forearms and calves. After muscle loss in the legs, it is common for fluid to collect, causing swelling in the feet. How should massage be done? 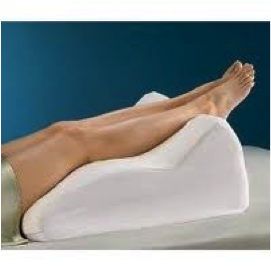 Elevation of the legs works well to reduce swelling in your feet. This can be done with pillows or by simply raising your leg rest on your power wheelchair. Raise your feet above the level of your heart for the best results. 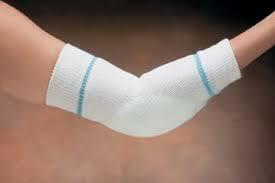 Open-toe thigh high medical compression stockings are commonly used in combination with elevation of the feet. They are difficult to put on, so consider purchasing a stocking slip. Both of these products can be purchased online at Jobst.com. 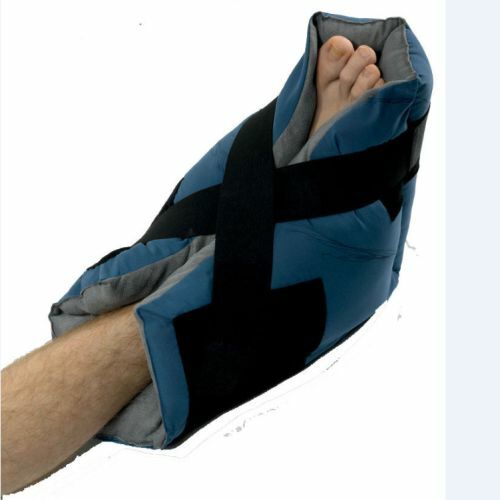 An intermittent mechanical compression device placed over the lower legs can be rented by prescription from some medical supply offices. 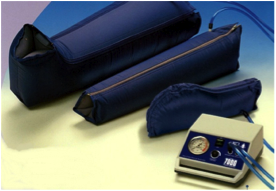 This device uses an air cushion to squeeze your legs intermittently to return blood back up your legs. After patients with ALS lose the ability to move their arms and legs around while laying in bed, they are at risk for getting pressure sores on the back of their heels and elbows, which can be extremely painful and uncomfortable. 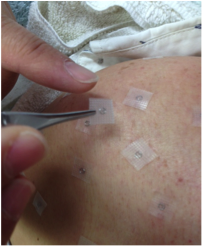 Pressure sores are areas of damaged skin that are caused by staying in one position for too long. They commonly form where your bones are close to your skin, such as your ankles, back, elbows, heels and hips. 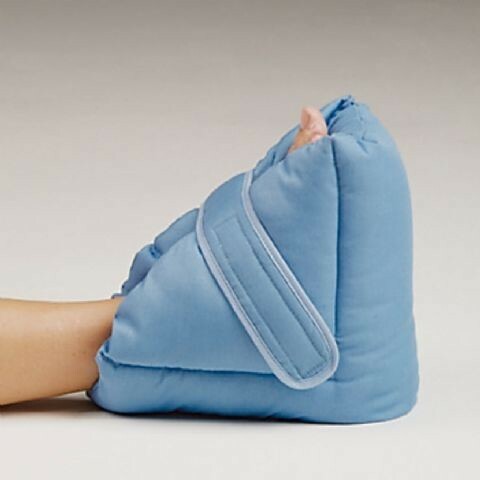 Putting heel protector pillows or elbow protectors on while laying down can help reduce this risk and allow the patient to be much more comfortable overnight while sleeping or when laying down for longer periods of time. TO VIEW THIS INFORMATION IN THE FORM OF A HANDOUT THAT YOU CAN GIVE TO YOUR CAREGIVERS, GO TO THE SITE’S HOME PAGE AND SELECT THE “PRINTABLE CAREGIVER HANDOUTS” TAB!